Today, Americans are more into fitness and health more than they’ve ever been in the past. However, they’re also into natural, yet unique health options to get the job done. Gone are the days when popping a pill or sticking with over-the-counter meds for everything was thought to be the way to go. Today, from natural approaches and methods to combat depression to natural remedies for migraines, there is always an option out there that doesn’t involve prescription drugs. Here are a few supplements that can help you go natural. When it comes to gut health and even protecting your liver, there are many prescription drugs out there and even over-the-counter ones that you can take. However, wouldn’t it be nice to be able to naturally protect those organs? It’s possible, by simply adding raw honeycomb like that from passthehoney to your diet. Not only does it have many health benefits, it tastes great at the same time, making it a win-win in anyone’s book. You can eat it as-is, or crumble it up as an additive to your oatmeal, yogurt or salad. It even works great as a coffee sweetener or a sandwich additive for a bit of crunch. If you’re prone to headaches, whether it’s tension headaches or migraines, you’ve probably taken the medicine that makes you feel groggy and out of sorts, or even some over-the-counter medicines that didn’t work at all. Luckily, one of the benefits of white willow bark is that it’s considered to be nature’s aspirin, which means that it works for headaches. Not only does willow bark help with headaches, it does it in a way that isn’t dangerous to your health. So, the next time you feel a migraine coming on, reach for this supplement instead of the traditional remedies and see how it works for you. Willow bark is also good at helping to alleviate pain and inflammation. Use it for back aches, acne or as a daily supplement to help prevent heart attacks. It’s easy to take, as it comes in pill form. When it comes to depression, it was once thought that the only way to combat it was through prescription meds and therapy. 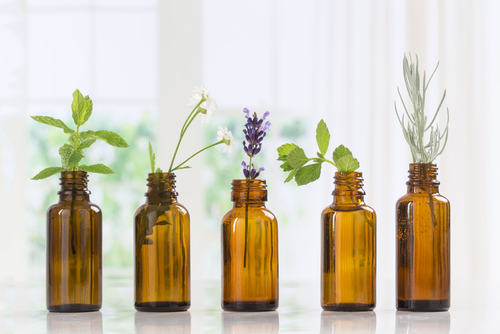 In recent years, studies have shown that some essential oils work to combat the signs and symptoms of depression as well. These different essential oils can be used in several ways. You can put drops on your pillow or into your bath water, or even rub them onto your skin after diluting them in a carrier oil. They’ve been known to help with the symptoms of depression, stress levels, and even headaches, and the fact that they are all-natural doesn’t hurt either. It’s important to note that while these additives and supplements are great and also unique natural methods for treating what ails you, they do not take the place of seeing your primary health care provider. It’s important to see your doctor before you add or take away anything from your diet, just to see if it’s the right choice for your health needs.